Timi Praise returns with yet another new single off his debut album – Kosoba Todabire. 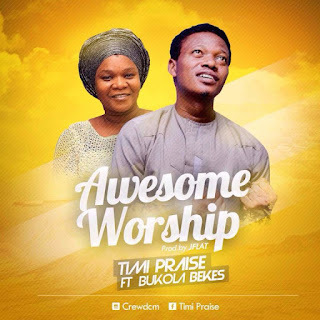 The worship tune titled “Awesome Worship” features one of RCCG’s finest music minister, Bukola Bekes. Produced by JFlat. Timi Praise popularly known as Kurukoga is a gospel singer-songwriter and music director whose style cut across different Indigenous genres like Alujo, Juju, Tugba and more.